2. [Q]: Where is your factory located9 How can I visit9 [A]: Our factory is located in Southeast of China. 3. [Q]:How can I get some samples9 [A]:We are honored to offer you samples. A4 sheet size samples are provide free, just tell us your express account to bear the frieght please. 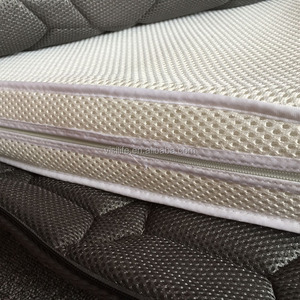 Giyou International Trading Shanghai Co., Ltd.
-- Professional Quality maintains better product experience for you G2 Synthetic Material --- Innovative G2 synthetic material and natural latex mattress provides no formaldehyde , environmentally friendly sleeping experience . 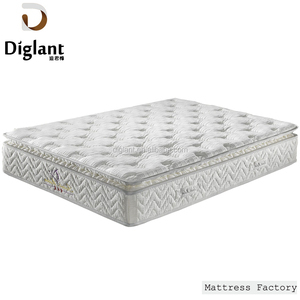 ---The scientifically designed mattress t ak es pressure distribution of the human body into account , base d on human engineering ,to disperses pressure and cradle the body for a better optimization of sleeping system . 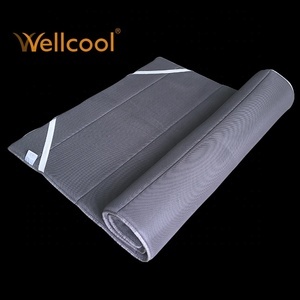 N ew environmentally-friendly material and h igh - tech production processes change the traditional production method for maximal improvement of sleep quality with environment protection. Shanghai Huchao Furniture Co., Ltd.
1) OEM/ODM welcomed, We also provide memory foam mattress, latex mattress, palm mattress, leather bed, headboard etc. 2) Sampels available, sample policy: 50% of unit price sample fees will be charged, and then the 50% sample fees will be returned after order released. FOB Service: 1.Do all the work still goods to ship(port warehouse) CIF Service: 1.Ship to your port in low freight. Detail decision quality, every prefect work make sure every mattress as good as possible Thanks for all experienced workers providing delicate craftsmanship. 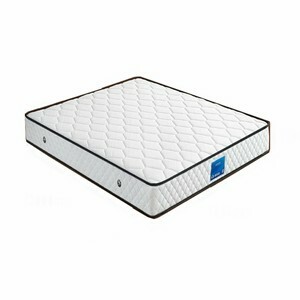 They take so much time to design mattress,blending the finest materials to meet the comfort level our customers want. We test all of our components for durability and comfort,e very mattress quality checked & cleaned before packing! 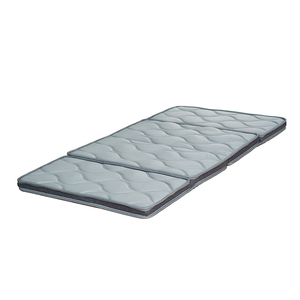 Changshu Kangjia Home Textile Technology Co., Ltd.
the size is convenient for you when go to camp bring the mattress . If you have special request ,we can do as your request. Q 1:Are you factory9 Yes, welcome to our factory have a visit . 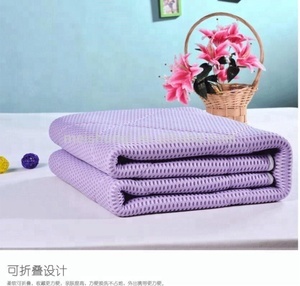 Quanzhou Huicheng Knitting Co., Ltd.
Quanzhou League Textile Technology Co., Ltd.
Farer Quanzhou Furniture Co., Ltd.
Alibaba.com offers 2,964 3d spacer fabric mattress products. About 69% of these are bag fabric, 60% are knitted fabric, and 58% are 100% polyester fabric. 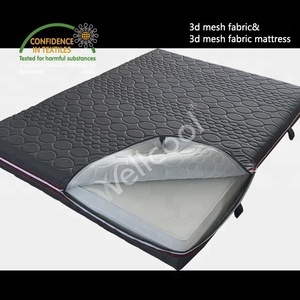 A wide variety of 3d spacer fabric mattress options are available to you, such as bag, home textile. 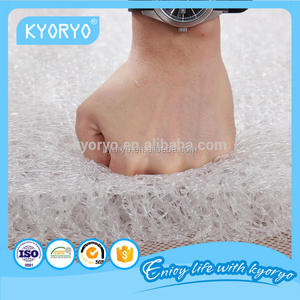 You can also choose from flame retardant, anti-bacteria. As well as from en, sgs. 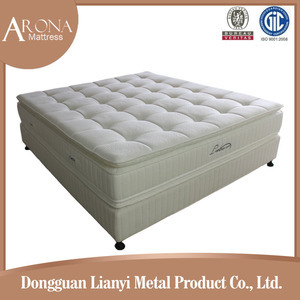 And whether 3d spacer fabric mattress is plain, or jacquard. 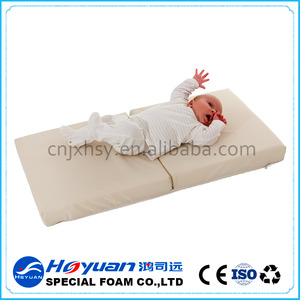 There are 2,964 3d spacer fabric mattress suppliers, mainly located in Asia. The top supplying countries are China (Mainland), Turkey, and India, which supply 98%, 1%, and 1% of 3d spacer fabric mattress respectively. d spacer fabric mattress products are most popular in Domestic Market, North America, and South Asia. You can ensure product safety by selecting from certified suppliers, including 570 with ISO9001, 502 with Other, and 237 with ISO14001 certification.